Imagine slipping into the warm, massaging bubbles of a hot tub - relaxing in peace on your own, sharing a romantic evening with your partner or socializing with friends - barbecue sizzling, glass of wine at hand…..fantastic! If it’s something a little different you’re looking for, one of these may be just the thing. At one time only for the rich and famous, the popularity of the hot tub has driven prices down, making them a much more affordable garden feature. They might still be one of the more expensive items in your outdoor living space but, hey, if you like to be different and enjoy the luxuries of life, one might be well worth considering. 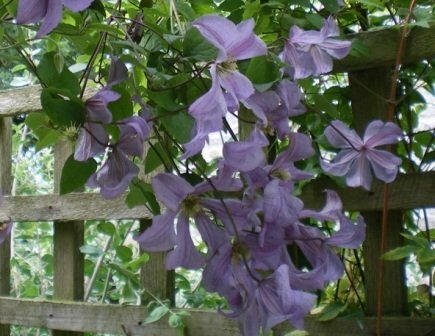 I must admit, when they first became readily available, I had misconceptions about their suitability for use in the UK and other relatively cooler climates, and their installation and maintenance, until doing some research for a garden design. Having duly set off to take a look, I ended up in one after a very short time! What an amazing experience. So warm and relaxing, with bubbles and jets massaging places you never thought you had! Totally invigorating. You could almost call it therapy! - Well, not almost - it is!! Needless to say, I was reluctant to leave. In fact these tubs are ideally suited to cooler conditions (very popular in Canada and Sweden, for their therapeutic benefits) and especially for evening use, where they really come into their own, with the addition of garden lighting, scented candles, interesting surrounding structures and planting, music (some even have integrated CD players), food and drink, good company or just a good book.....Sounds too good to be true! There are many suppliers around if you wish to buy a spa, ranging from good value ones to more expensive, luxury options. Find a good selection of mid-range hot tubs here with ideas for gazebos and pergolas under which to install them. A strong surface is required to take the weight of the tub, water and people. This could be a sound concrete base, a patio or a gravelled area of solid earth. Placed on the ground, surrounded by decking looks fabulous too. Placing on top of a deck isn’t advisable due to the vibration of the pumps and the weight. But the deck can be built around the hot tub so that you step down into it. This looks stunning! 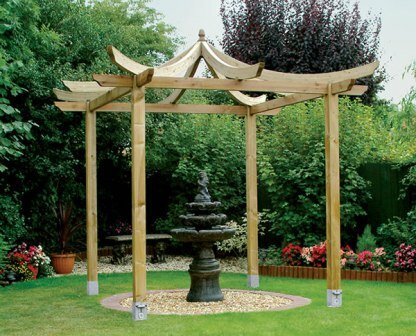 Aesthetically, this outstanding feature is best linked to other features/structures in the garden such as paved, decked or gravelled areas/paths, a pergola, trellis, gazebo, planting - something to link the whole scheme together, otherwise it will literally be outstanding, and not in a good way! Imagine your hot tub in the middle of a lawn, away from the house, all on its lonesome - exposed, solitary, not really that great. Comfort, shelter, warmth and relaxation are the aims here. So consider carefully how to best maximize its potential. Reasonably near to the house is good for ease and comfort. A clean access route is highly recommended, using some sort of hard-landscaping material - muddy, grassy feet don’t make for clean water! Standing on solid ground within a decked area. Standing on solid ground within a large decked area, with the other part being used for garden furniture such as a dining set, sun-loungers, a hammock or bean bags. 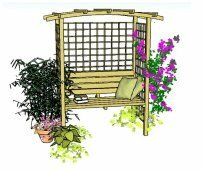 Set on gravel or a patio, within two trellis panels set at right angles, with planters. 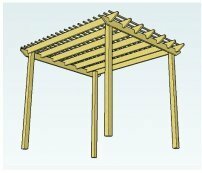 Under a pergola, with various base materials with, or without, trellis and balustrade. In a summerhouse, with changing area. Or any combination of these! A few well-placed plants and accessories can create a fabulous effect. Spas have a modern feel in terms of garden design, and therefore they look great with clean lines using modern, minimalist accessories - loungers, firepits, chimineas and lighting - and simple, bold planting. 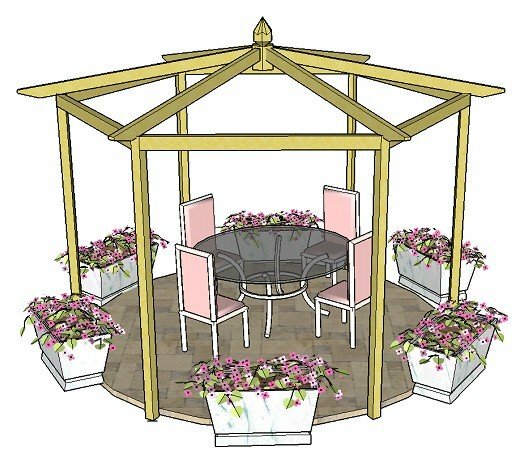 For instance, pergola, trellis and hot tub arrangements look fantastic in themselves but with the addition of carefully chosen climbing plants and colourful tubs can lift the area to new heights. Planted pots might be filled with annual bedding, grouped on their own or used with architectural evergreens such as fatsia japonica, phormiums, photinias, rhododendrons, azaleas and pieris. 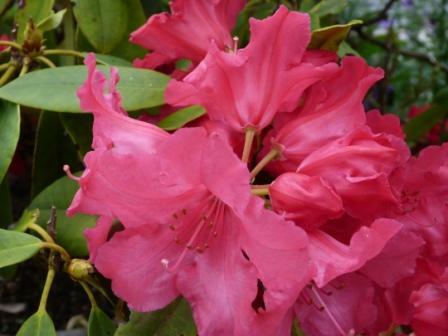 Here we have a beautiful deep pink rhododendron, which could be used to give useful architectural evergreen colour all year round, but with a fantastic flush of colour in the spring. One or two of these, placed carefully in the area, maybe all that is needed to give structure and shelter. Not too close though, as these, as with most plants, do drop their flowers. If this is going to be a problem, use plants that don't drop their leaves or flowers. And then, of course there are all the lights, scented candles, fire pits, chimineas, barbecues, cushions and garden furniture, orbs, sculptures, pots and food and drink accessories that can make such a difference to the overall feel of this wonderful haven of relaxation. Careful thought is needed before buying a hot tub but all good suppliers offer in-depth advise related to their products - warranties, delivery and access, drainage outlets, power supply and costs, styles, to name but a few. Be aware of what is involved to keep the water in tip top condition, as there is some maintenance involved. 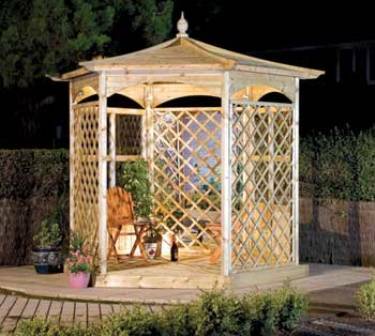 Enjoy creating this truly stunning feature - your garden will be the most fabulous place to relax and unwind!